Heels and Hardhats Contracting was built on a dream of equality for women in the trades by Jackie and Cyndi Richter. The company was formed in 2010 when Jackie, a general manager of a construction company, suddenly couldn’t find work. Jackie had undergone gender correction and believes the lack of work was due to her unique diversity. 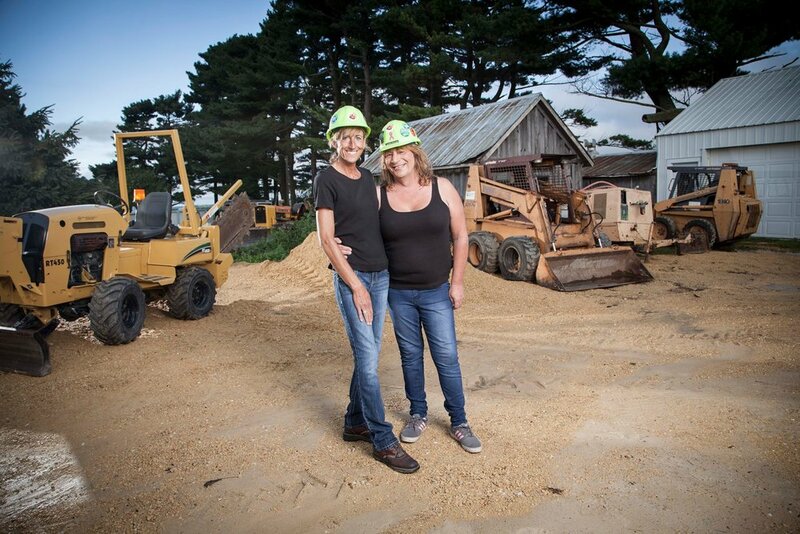 Jackie and her partner Cyndi, a nurse’s aid, formed Heels & Hardhats. It is our mission to train, promote and utilize women in the construction trades. Our firm employs a diverse workforce of people who are multi-talented and trained in many aspects of construction. We are a union company, signatory with several trade unions including Laborers, Operating Engineers, Cement Finishers and Iron Workers. We provide cost effective solutions in the Heavy Highway and Utility Construction sector. From Flagging and Traffic Control to Excavation and erosion control. We offer specialized equipment with a qualified staff to perform under tight scheduling demands. We are small enough that you will find owners out on job sites working with our employee's side by side. We provide our leadership in two simple words “Follow Us". Leading by example and encouraging a team environment allows our firm to accomplish our work with dedication and pride. Our clients are the number one priority, followed by our employees. .